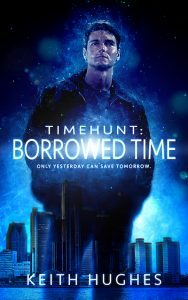 Formerly published as Borrowed Time. After a particularly unsettling day at work, forensic photographer Ness Relevont finds a strange package in his mailbox. Unraveling the mystery takes him on an action-packed ride into the past, where he confronts himself, his would-be killers, and his own regrets. Take a deeper dive into Ness’s first adventure by exploring the character, settings, and events of the story in the Archivos story mapping software. Formerly published as Stolen Time. Ness Relevant has traveled through time before. Now he must once again use his time machine to confront a determined foe. Only this time his personal stakes are even higher. Threatened by his future, he must find a way to save his wife and thwart a mad-man’s schemes for world conquest, or he’ll never regain his stolen time.